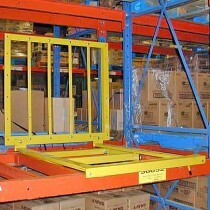 Standard gravity case flow rack systems are plagued with problems. Wheels pop off and tracks fall out. Repairs or re-profiling wastes time. 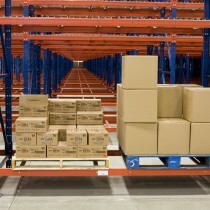 For a problem-free case flow rack system, choose FRAZIER’s SelecDeck®. We have specially designed SelecDeck® to meet all your system needs. 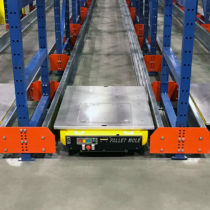 Use SelecDeck® to increase the total number of available pick faces, store slow moving items over floor level pallet positions, hold overflow stock from lower floor positions and more. 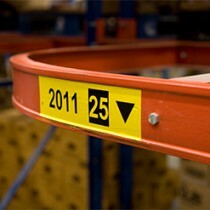 SelecDeck® has larger wheels that are wider and stronger than the wheels of traditional case flow racking systems. 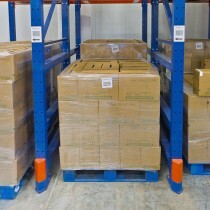 The large diameter wheels allow for freer flow of cases at lesser pitch, which results in reduced height of top shelf elevation; then, shelf restocking is quicker and easier. 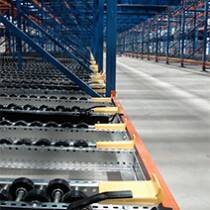 Steel axles, channels and connections make SelecDeck® stronger and more durable than traditional case flow rack systems. 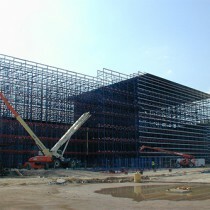 Support comes from shelf beams to make the entire module more rigid and stable. 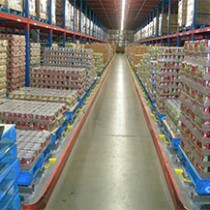 Standard SelecDeck® uses a wheel bed with staggered wheels to create a smoother flow with less carton damage.The wheel beds of SelecDeck® have the option to be designed with customized patterns – therefore, axle and wheel spacing can be modified based upon the size, weight and variety of cartons. 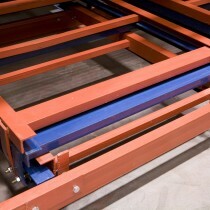 These universal wheel beds allow for total storage flexibility with no slotting limitations. 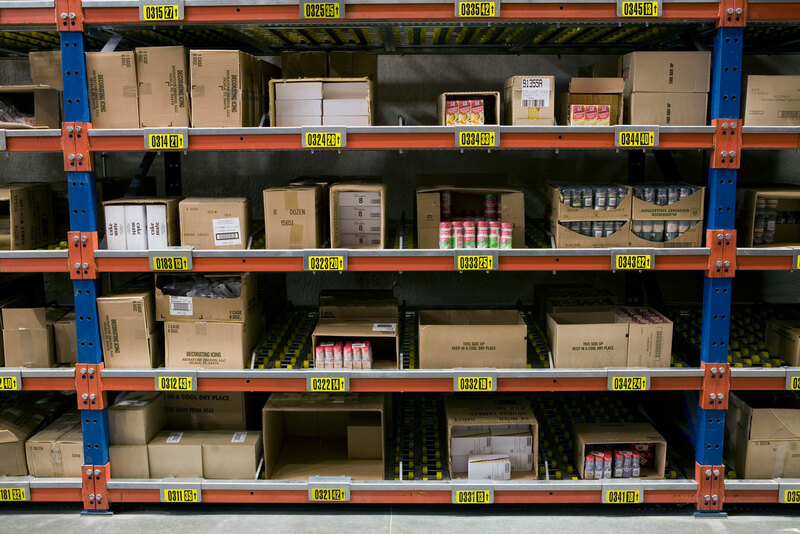 Thus, SelecDeck® does not need additional tracks when re-profiling to store different products. FRAZIER’s expert team of Standard Product Engineers work with you throughout your case flow racking system project, whether it is to retrofit your existing rack system, replace an existing case flow or design a completely new system. We carefully test all systems to make certain that the wheel pattern meets the case sizes and weights for your application. Our Two-Year Warranty signifies our complete confidence in SelecDeck® as the case flow rack system that is right for your needs. Learn more about SelecDeck® by downloading our Literature.